Bluebonnet is an electric co-op in the Texas Hill Country, founded on a commitment to service. However, most people are indifferent about their electric supplier, concerned primarily with reliability and rates. Our aim was to build a site to help Bluebonnet build a deeper brand connection with its customers. 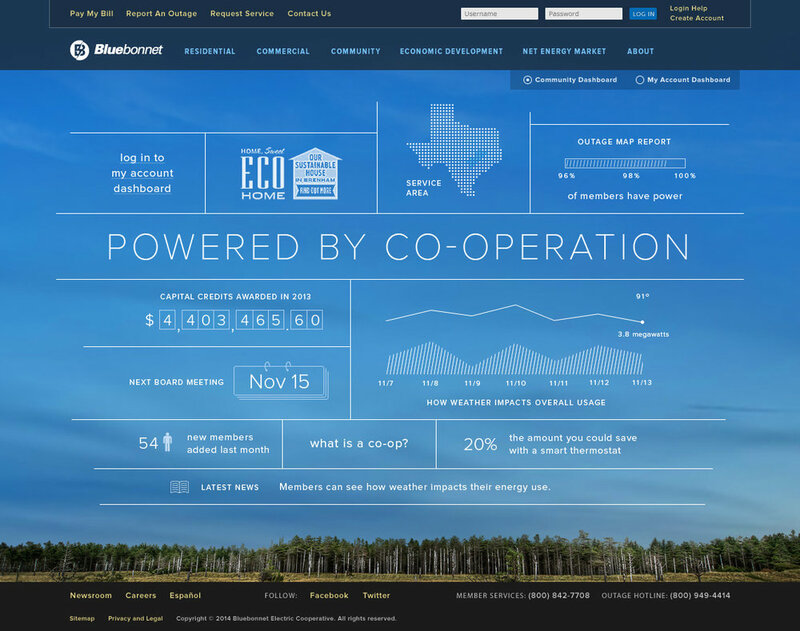 Because Bluebonnet is a community-owned power company, we needed to give its members transparency into the organization—and build a deeper connection with them. We thought up a concept and strategy for their website with dynamic content, shining a light for customers into all areas of the business. We pull data from members and the organization to reflect the transparency of the co-op. 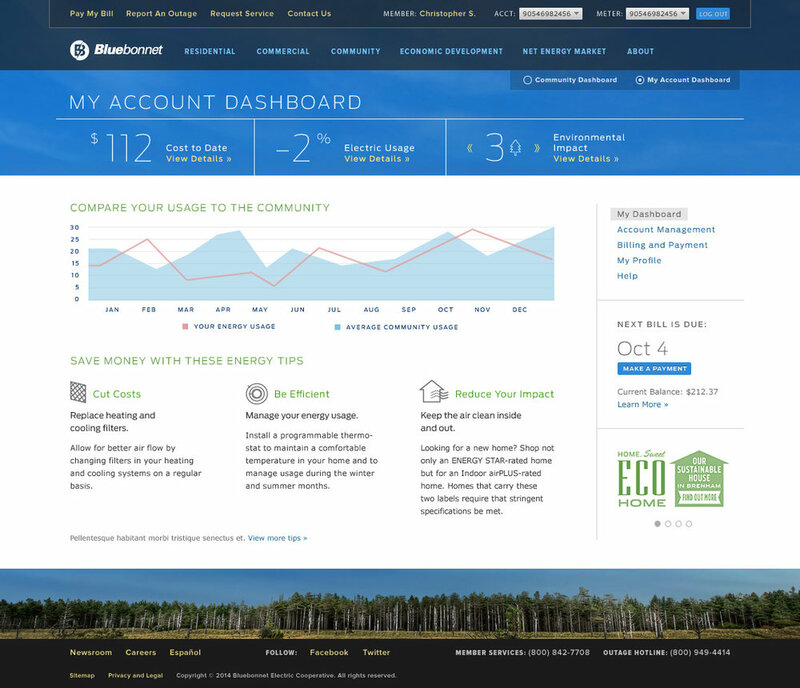 In addition to the account management features users expect, we also created a dashboard that allows members to view their energy usage in a variety of ways, such as environmental impact, energy usage comparison and cost to date.